It’s universal: Adolescence can be a tricky time, regardless of where you live. 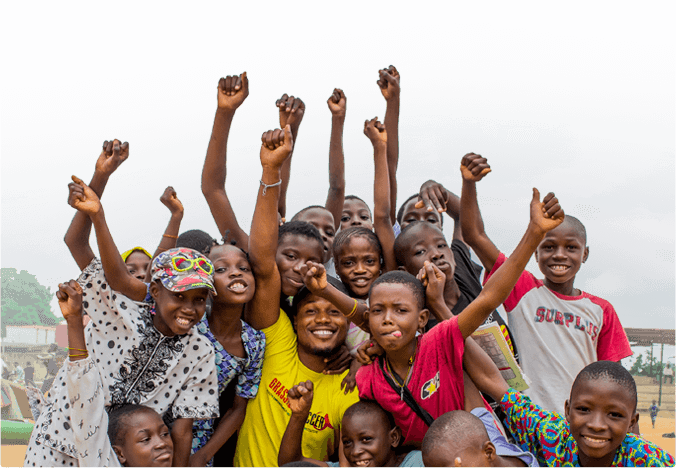 In many parts of the world, youth are disproportionately impacted by increased risk of HIV, malaria, gender-based violence, early pregnancy, and accompanying stigmas. Grassroot Soccer programming emphasizes human-centered design, tailored to youth and the variety of challenges they may face. SKILLZ Plus is one such program, providing interactive, evidence-based curriculum for HIV-positive youth. 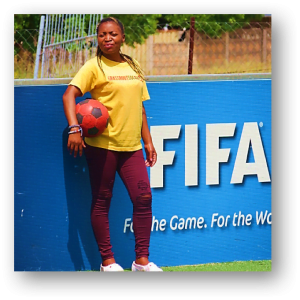 Under the guidance of Grassroot Soccer Coaches like Cleo, youth are provided with the knowledge, skills, and encouragement to live healthy lives and become leaders within their communities. My name is Cleopatra Ndlovu and I am 28 years of age. I am a SKILLZ Plus Coach at Grassroot Soccer Zimbabwe. I have been with the team for the past three years. Before I joined SKILLZ Plus, I lived below my true potential and allowed intimidation, people’s opinion, fear and negativity to rule my life because I was HIV-positive. I did not value myself the way that I do now. I had small goals and little hope of being a better person. I must admit conducting my first intervention at one of our local clinics in Bulawayo with HIV- positive participants was not very easy, as I had never disclosed my status to strangers. The support that I received from the Grassroot Soccer team was overwhelming, and it was easy for participants to join SKILLZ Plus as they saw me working together with [other community members] and counselors. It was also easy to conduct home visits for the participants because they felt safe around me. The session was so undeniably awesome and life-changing that I never wanted to miss any more sessions. As I continued delivering the SKILLZ Plus curriculum and reading more material on positive living and also with the support of the Grassroot Soccer team, I began to open up about my status and view life differently. I acquired a positive mindset and discovered my true self and abilities. I now assist the nurses at the clinic with the filing and enrollment of participants. Grassroot Soccer helped me realize and release my true potential and not only am I a proud coach, but I have become an agent of positive change in society. I want to continue with my education and become a trained counselor so as to help educate adolescents living with HIV in my community.